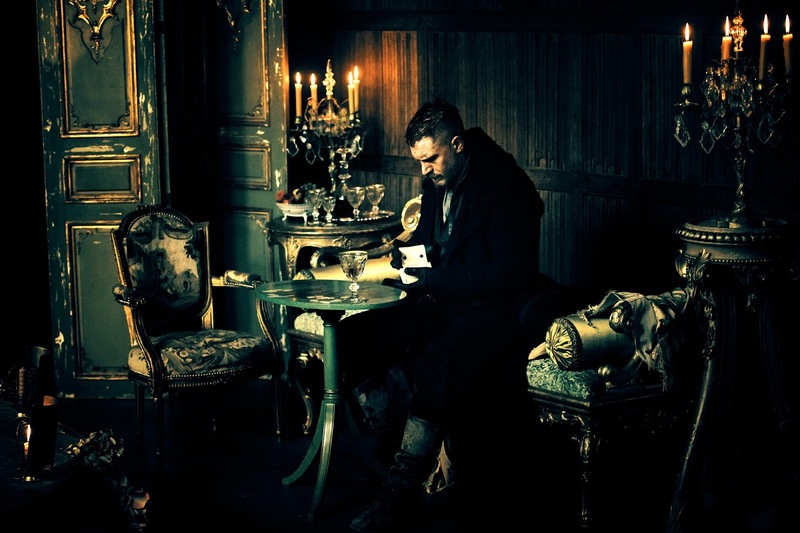 So here is a quick little thought regarding the seventh episode of the FX series Taboo that pretty much perfectly exemplifies my feelings on the show overall: I watched it maybe 5 days ago, felt very little desire to write some thoughts on it immediately, and by now I already am having trouble remembering exactly what happened during the episode. I remember thinking it was good for all the same reasons I normally appreciated it, incredible set design, an authentic aesthetic overall and great performances. However, the plotting of this episode, what happened from point A to B and B to C and so on, I am piecing back together in my head now with very little enthusiasm. I remember the mystery and intrigue around the murder of Winter, and I am left with questions like, is someone framing James (Tom Hardy) or is he being accused by Helga just for the sake of an additional threat for James to deal with and obviously the enhanced drama of more to deal with? 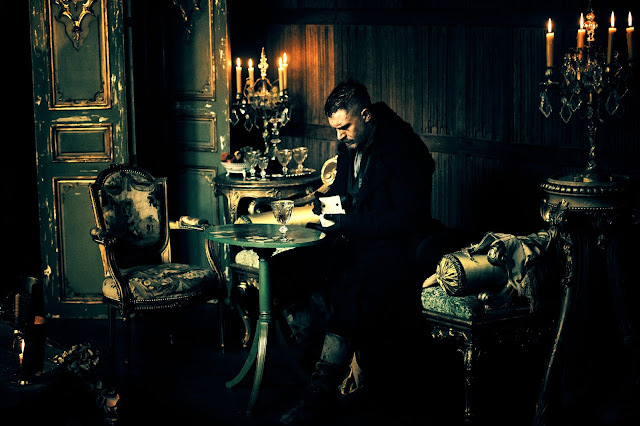 This seventh episode did answer a lot of questions too, ones that had lingered since the first few minutes of the first episode, but I didn't really care as much as I hoped to discover the answers and therein lies the problem: Taboo just never grabbed me. Even at its best, it has been one of those shows that delights some of my senses but leaves me heart cold and my head less invested than I expected. Only the finale left to go, airing on Tuesday night in the U.S. Let's see if it ends on a high note.